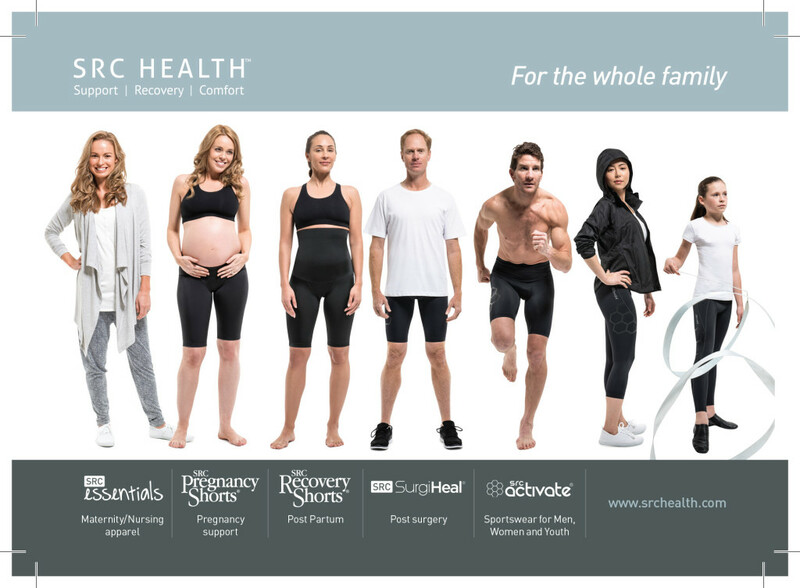 The SRC Pregnancy and Recovery range of products have been designed by women for women. Whilst recovering in hospital after the birth of her first child, our founder Sinead O’Donovan decided that new mums deserved more help getting back to their busy lives. Drawing on her extensive medical and bio-mechanical background, Sinead envisaged a garment that would be comfortable for new mums to wear all day whilst giving her all the support she and her body need. With the assistance of Sinead’s’ fashion designer sister (Carmella) they produced the first recovery shorts. As with all great ideas, they went through a long period of development to get the product to fulfil her original vision. The panel design wasn’t quite right, so it was redesigned. The available fabrics weren’t quite right, so they made their own. After two years of development and patient trials, the garment finally met all of their expectations and in 2008 the SRC Recovery Shorts were born. This unique, patented product has now helped thousands of Mums worldwide recover easier & enjoy their baby.